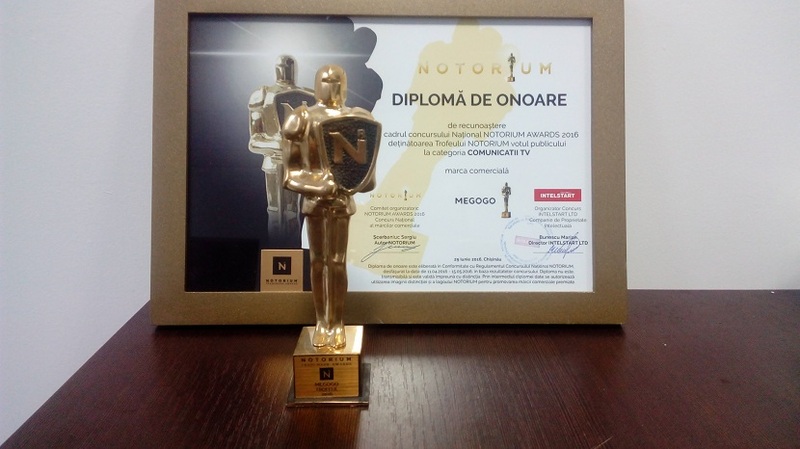 MEGOGO is the leading online-cinema in Eastern Europe, it has been working in Moldova since 2011. Its monthly audience consists of around 48 million viewers, 330 thousand of which are Moldavian residents. In Moldova the video service offers over 6 thousand units of content, more than 50 TV channels and it is available on all electronic devices. Nikolay Velikiy – CEO at MEGOGO in Moldova – points out that the category for telecommunications was one of the most competitive ones because there are a significant number of strong players like mobile operators and Internet providers that are well-known amongst the population. “Winning the recognition award for MEGOGO in a good way complicates our work. It gives us an extra motivation to look for new solutions, to be useful and interesting for the viewers, and to prove every year that we deserve to be number one”,- rejoices Nikolay Velikiy.